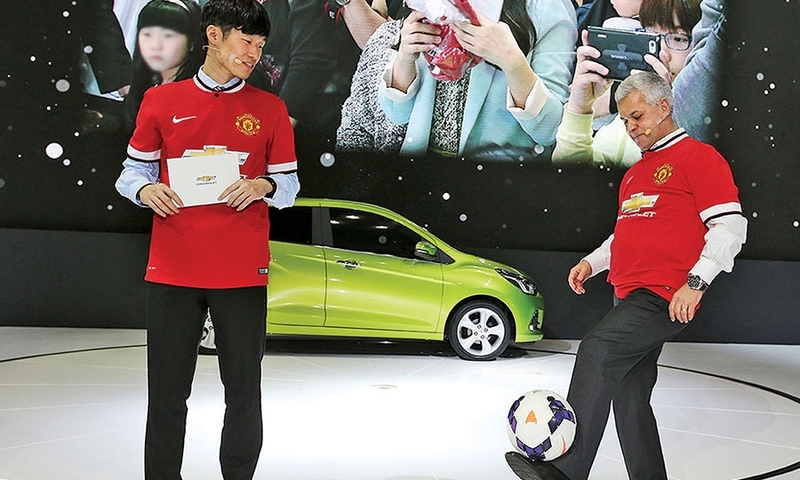 Manchester United superstar Park Ji-sung, left, admires GM Korea CEO Sergio Rocha's skills at the Seoul Motor Show in April. Chevrolet's $559 million sponsorship of the British soccer club has been controversial, but is a hit in South Korea. 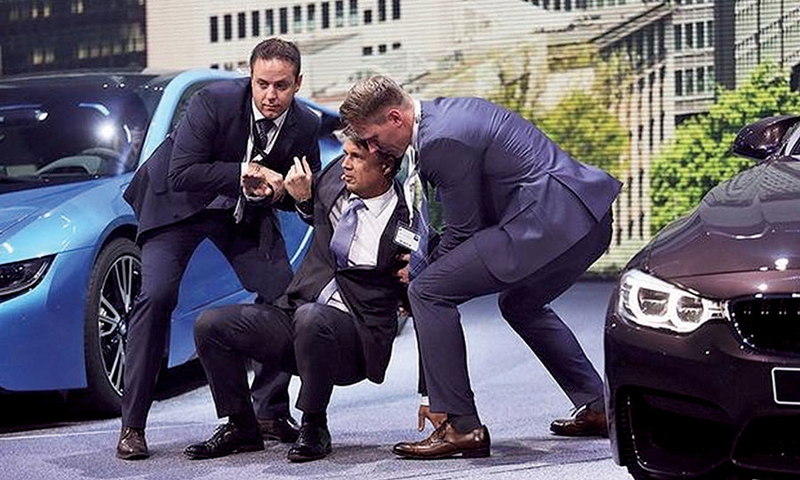 BMW CEO Harald Krueger collapsed during the carmaker's presentation at the Frankfurt auto show in September. He had just returned from trips abroad and had not been feeling well before the press conference. Krueger swayed and then fell on his back in what was his first major presentation since taking the CEO job in May. BMW said Krueger experienced “a moment of dizziness.” He was back at his desk a few days later. 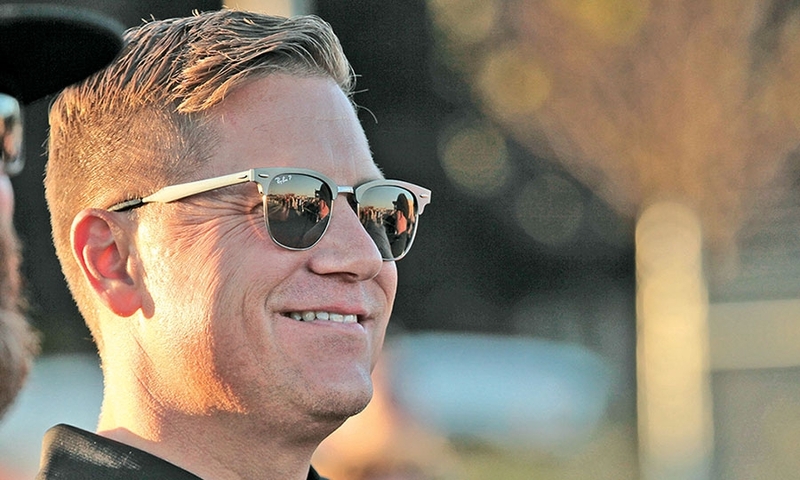 A happy Dodge chief Tim Kuniskis kicked off Detroit's Woodward Dream Cruise in August at the brand's Roadkill Nights. The free event in the abandoned parking lot of the decrepit Pontiac Silverdome caused traffic jams and far overwhelmed the available parking nearby. After taking hot laps on the test track at the new Porsche Experience Center in Atlanta, Angela Lanier said she was thinking about buying a 911 GT3. Customers can test cars on six modules at the track. The center also includes a museum, gym and restaurant. 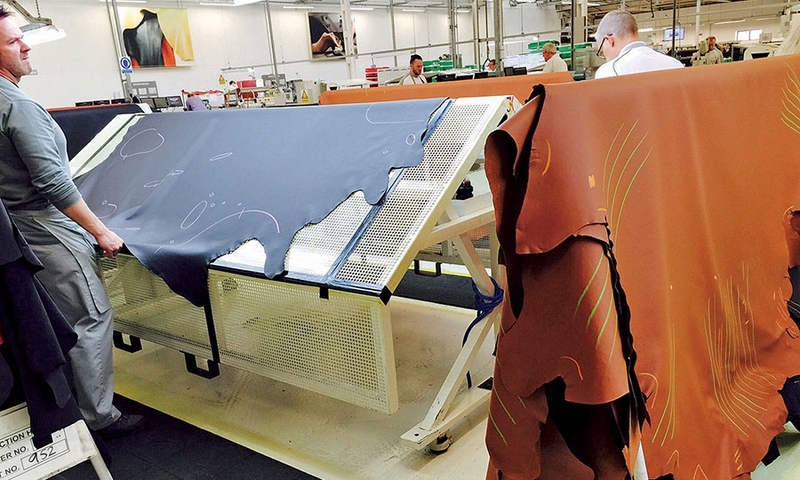 Workers at Bentley Motors' Pyms Lane plant in Crewe, England, mark flaws in bull hides that will have to be cut out. Cuba serves as the world's largest open-air museum of Detroit's mid-century golden age. The country's resourceful shade-tree mechanics take their vintage American vehicles right down to the bare bones to keep them running. 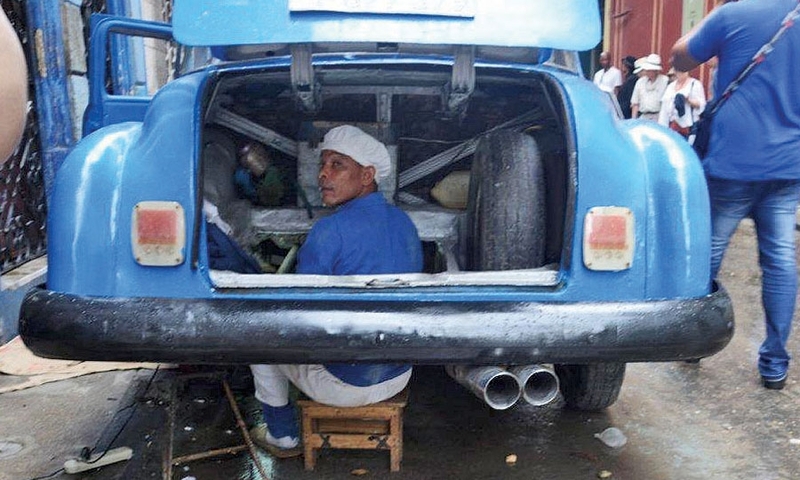 This fellow is rebuilding the rear end of his 1950 Chevy in central Havana. 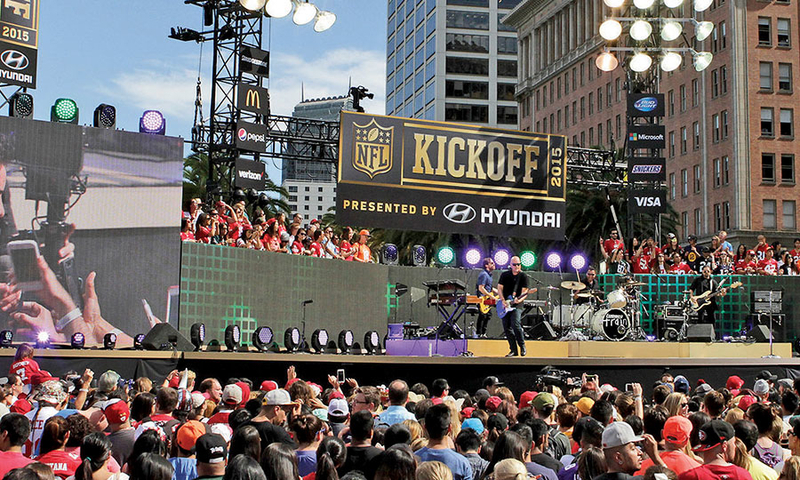 A concert in downtown San Francisco presented by Hyundai on Sept. 10 highlighted the NFL's season kickoff festivities. The show featured pop musicians Train and Ellie Goulding.